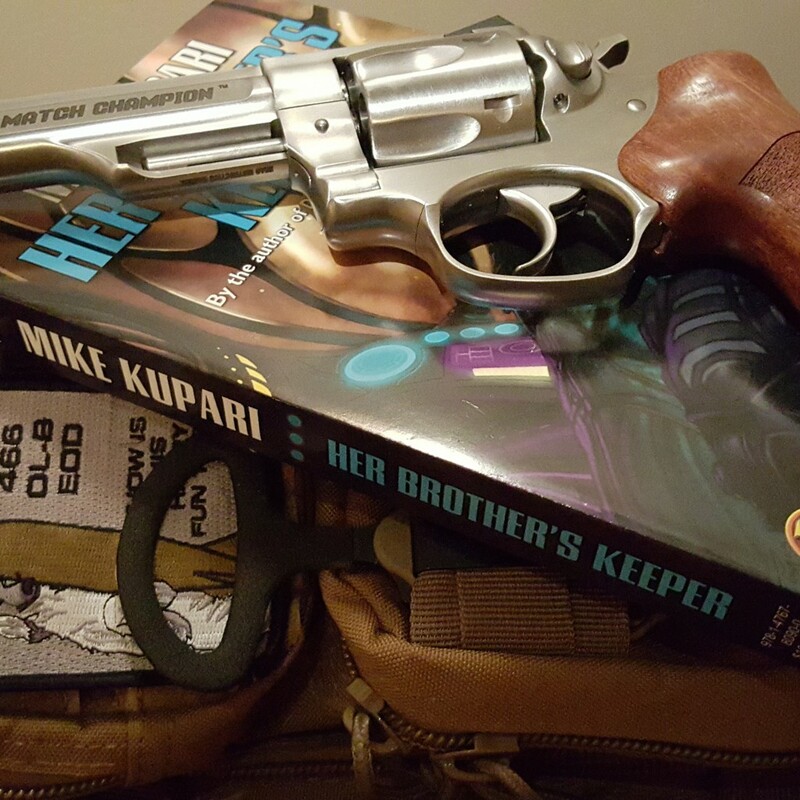 Mike’s new book, “Her Brother’s Keeper” is a fantastic mix of old school sci-fi and modern genre-blending. I was highly enjoyable. I used an Audible credit to get the “Book on Tape”… having forgotten I had ordered the paper version. So now my boys are reading it – and they too are enjoying it. Get this book. It’s an excellent Sci-Fi. You will love it too. The gun is of course my Ruger GP100 Match Champion. The Blade is… some Benchmade push dagger… I forget which. The patch, was Mike’s “Team Duchess” patch. It’s one of my favorites. I have it on my bedside table! I will have to start it. I enjoyed Her Brothers Keeper very much. Enjoyable read, buy I really expected more from Mike after the Dead Six stuff. 4/5 at best. He has an great starting world, by HBK was weak sauce. Enjoyable, but weak when compared to his other stuff. Would buy the next in that series, but if it didn’t warm up, that would be the last. It took me double digits to stop caring about David Webber’s Honor Harrington, but he managed.